From that old wood stove in grandpa’s workshop to the new stone fireplace in a neighbor’s family room, Indiana residents have looked to Schlemmer Brothers Hearth & Home for the beauty and warmth of flame for generations. 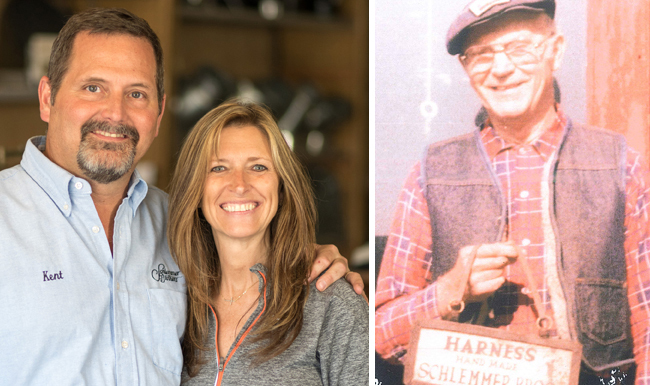 With a history as warm and unique as the products they sell, Schlemmer Brothers Hearth & Home has been a part of the Wabash community for over 110 years, spanning 4 generations of family ownership. Started in 1903 as an implement, harness and buggy business by John Schlemmer, he was soon joined by brothers Jacob, Clarence and George, making it a true family business. Throughout the years, other family members bought in (Byron and Sam in 1945, Jon in 1973) and a vast selection of products were added, including hardware, washers, dryers, refrigerators and, eventually the wood stoves and fireplaces for which they’re known today. Through it all, they’ve maintained their well-deserved reputation for excellent craftsmanship, quality products and great customer service. Today, Schlemmer Brothers Hearth & Home is owned by Kent Henderson (Byron’s grandson) and along with his staff of helpful, knowledgeable, certified experts, their goal is simple: to continue offering top quality products, top notch customer service, and to keep warming Indiana homes for many years to come. Let our family provide your family with the warmth & beauty of alternative heat.